STEVE GROSSMAN was born in New York City on January 18, 1951. 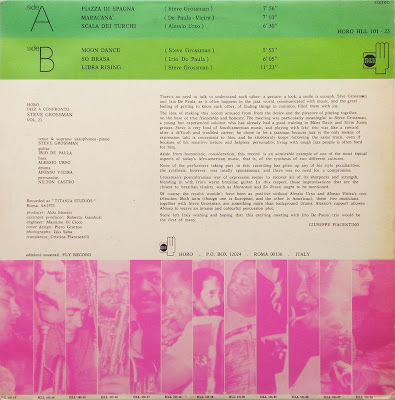 When Wayne Shorter left the Miles Davis band in 1969, his place was taken by 18 year old, Grossman. Initially the teenager was much criticized, yet his fresh approach and an emotional intensity beyond his years added much to the band. 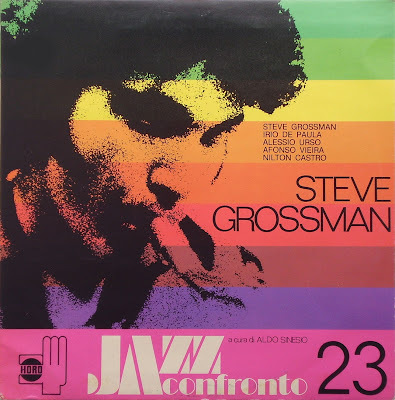 Grossman studied saxophone with his brother, starting on alto, moving to soprano and tenor by 1968. He played with a number of groups including the Jazz Samaritans, with George Cables and Lenny White before joining Davis and recording his first sessions. During the 70s Grossman played with Lonnie Liston Smith and in Elvin Jones' group and in 1975 founded the Stone Alliance with Gene Perla. 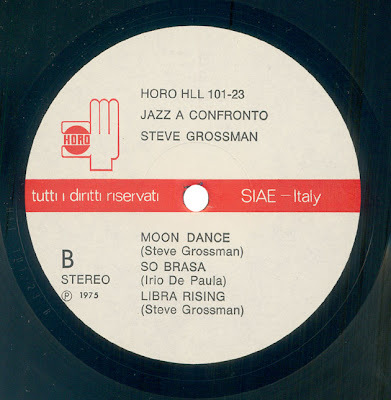 Since 1991, Grossman has completed a handful of top-notch albums for Dreyfus Records. His most recent recordings prior to Quartet are a live trio date from 1989, “Bouncing with Mr. A. T.”, released as a tribute to the late drummer Art Taylor, “Time to Smile”, a 1993 studio date bedrocked by Elvin Jones; and the wholly spectacular “In New York”, taken from a 1991 club stay that featured Taylor on drums and McCoy Tyner on piano. 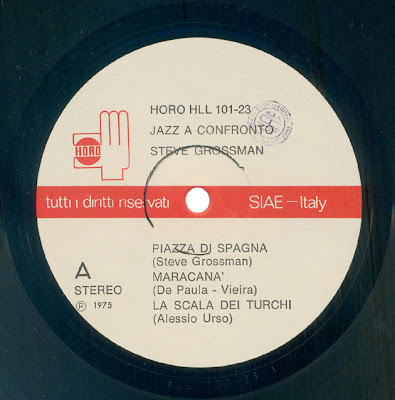 Presently shuttling between Italy and France, Steve Grossman is in the full flower of his artistic maturity. Potent display of the saxophonist's heartfelt playing and improvisatory genius are found on his recent sides, “Steve Grossman Quartet Featuring Michel Petrucciani” and “Steve Grossman/Johnny Griffin Quintet”. A1) Piazza Di Spagna - 7'56"
A3) Scala Dei Turchi - 6'30"
B1) Moon Dance - 5'53"
B2) So Brasa - 6'05"
B3) Libra Rising - 11'23"
I am thrilled - a whole avenue of music I haven't explored - already unknown to me sessions of Grossman, Waldron and so much more - spectacular! Great works, where's the sounds?